Brooklyn Sims, 13, shot this five-point muley buck near Big Timber while hunting with her father, Mike Sims, on opening day of the youth hunt. 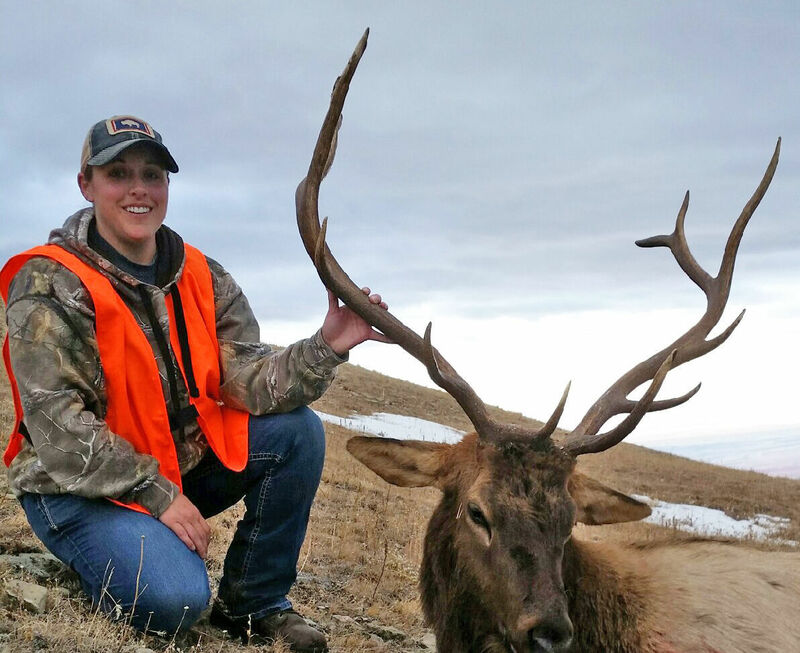 Sheridan resident Kelsi Roth shot her first bull elk this past hunting season in the Big Horn Mountains of Wyoming using a Remington 7mm-08 rifle. Grant Geiser, 27, of Lovell, Wyoming, shot his first archery bull on his first archery elk tag on Sept. 22, 2018, in the Big Horn Mountains. The bull green scored 350. Joni Geiser shot her first bull elk with a Browning .270 rifle in the Big Horn Mountains of Wyoming on Oct. 23, 2018.